Too early, I began walking the floodplain forests, not seeing the prince of mushrooms yet, but admiring the “tea-kettle, tea-kettle” call of Carolina wrens and the liquid song of male cardinals. 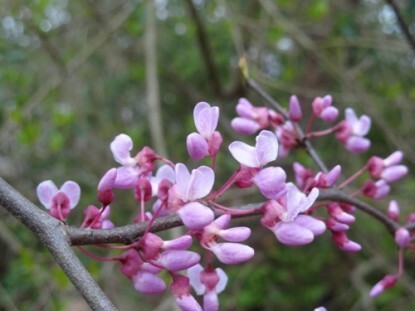 Slowly, the tell-tale signs began to appear one by one: The unfurling of the mayapple’s umbrella leaves, the first fiddleheads of emerging ferns, the spattering of lavender blossoms across the redbud’s branches. I trained my eyes on the leaf litter, scanning for the morel’s wrinkled cap. 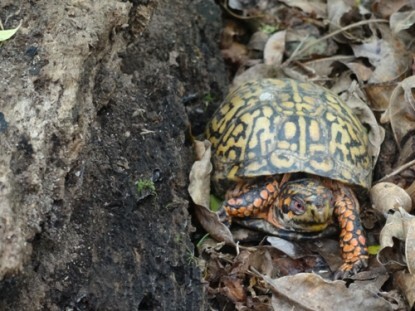 But though I was too early see any, that almost-daily walk in the woods meant I was on hand for other sightings: Box turtles, the male decked out in mating colors of bright orange. 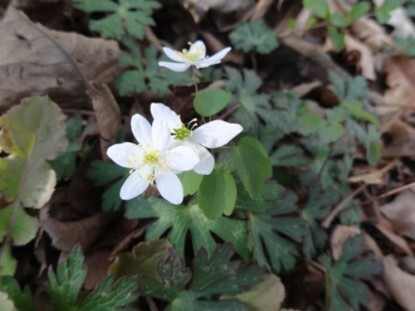 Shy woodland flowers such as wind anemone, bloodroot, and pawpaw all making their debut. And a herd of whitetail deer, upwind of me and unconcerned about my presence. And then, one afternoon on a half-hearted foray with my children, I was stooped over, examining a patch of violets when my son yelled out from a nearby thicket: “Mama! Mama!” He came out bearing fat yellow morels, Morchella esculenta, in each hand. 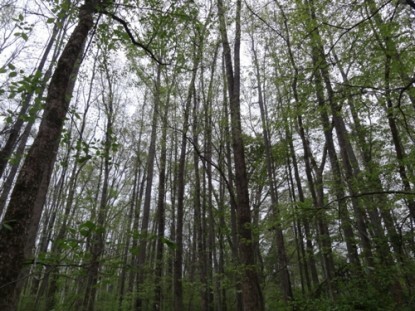 My daughter and I jumped to join him, and in no time, we hit a morel mother lode: Nests of the mushrooms beneath the spreading boughs of tulip poplar and ash trees, so many we filled two canvas bags before an hour was out, the mushrooms’ musky perfume wafting upward each time we opened the sacks. The utter grace of this gift made the three of us laugh, me all the more because I alone in my family like eating mushrooms. For the kids and my husband, the lure of foraging for morels is just the thrill of the hunt, the moment when thrashing through poison ivy and watching for snakes results in a precious find. Each time I draw in my breath in surprise, and freeze, as if the pitted caps of the delicious mushrooms might scurry away from me like rabbits. The mushrooms filled paper bags in our refrigerator, and we ran the dehydrator for hours to dry morels for later use. I threw some on a homemade white pizza, but most I enjoyed straight: Rolled in flour with salt and pepper and fried in butter, a simple preparation that lets the mushrooms’ wild, deep flavor shine. Morels are the pinnacle of my foraging year. 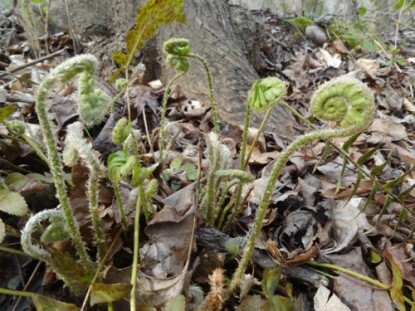 But the truth is, the two weeks I found mushrooms were only the final lines of a story I and my family had been enjoying for weeks – the story of unfurling spring, of our own corner of creation born yet again, all around us. backyardandbeyond blogs at Backyard & Beyond. Beautiful pics and wonderful post! My mouth is watering too! What a beautiful tale, along with beautiful photos. Made me so homesick for the Eastern forest. But also inspired me to go on my own spring forage here in the PNW. I’ll let you know if I find any! 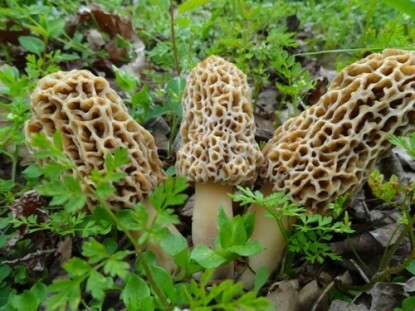 We plan to do some morel hunting this weekend! The weather I think is just about right 🙂 Opening weekend of trout season, too. 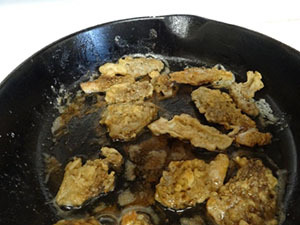 A trout and morel meal…mmmm. Gorgeous description and wonderful story of discovery. Made me want to go mushroom hunting like my grandmother did every year! 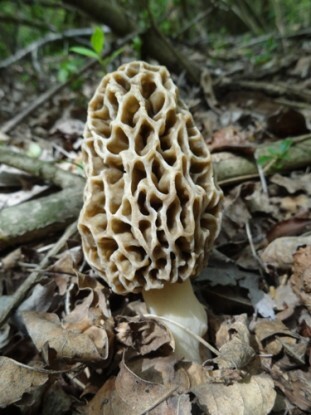 Up here, near Chicago, no one morel hunting would yell, “Guess what I found.” Locations are guarded jealously. Folks have been known to ‘plant’ a few morels in random places, hoping to draw fellow hunters of the trail. Last year someone doctored an official DNA press release to indicate there would be a $16.00 charge for a mushroom hunting license! Yep, we here in IL luv us some ‘shrooms. 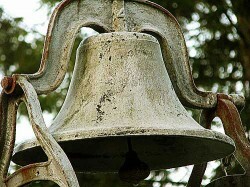 Thanks for sharing your beautiful recollection.